today a bit slightly interesting news. 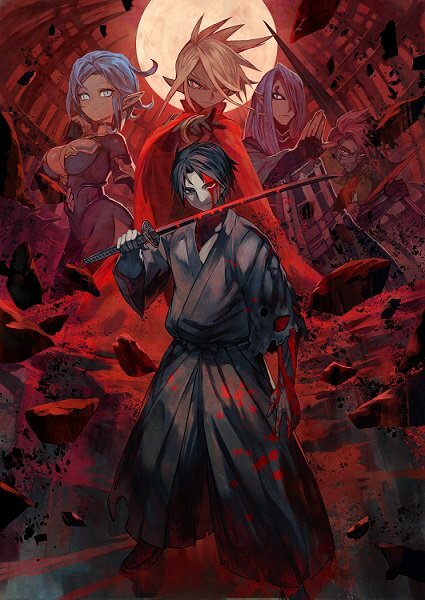 On 24th January the author announced the release date of Summoned Slaughterer Vol 6 of the Light Novel and unveiled the cover art. Without reading ahead I suspect this volume to start around chapter 100 of the web novel. Well enjoy the cover art. This time it is really decent and the major reason I posted this news update in the first place. Hifumi was injured?! Blasphemy! It must be the enemy’s blood… Yeah. It looks Hifumi is having fun.